What do you do when you are looking forward to a comfortable retirement with your husband of 40 years , only to have him drop the bombshell that the next chapter in his life does not include you. 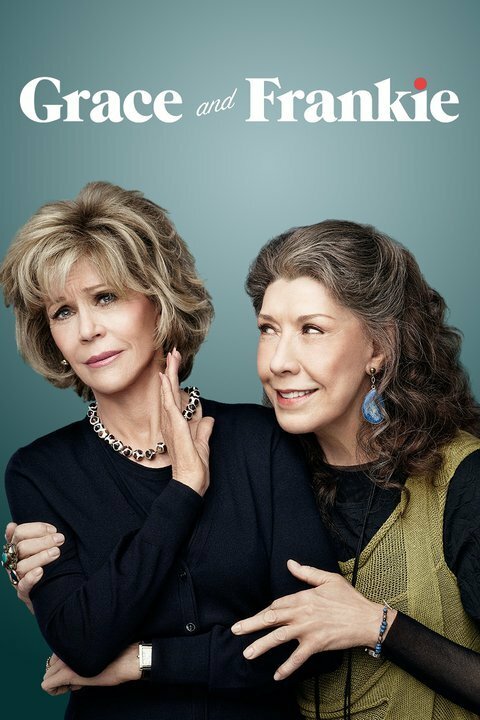 That is exactly the scenario facing Grace and Frankie (played by Jane Fonda and Lily Tomlin ), whose husbands (played by Martin Sheen and Sam Waterston) and business partners announce at dinner that they are divorcing their wives – to get married to each other- having had a clandestine gay affair for more than 2 decades. Grace and Frankie- who had never really liked each other – are suddenly thrown together as they deal with the shock of the situation and start to rebuild their lives. Grace and Frankie is series made exclusively for Netflix ( I am a relatively new Netflix subscriber and have to say I love it!). I think it is a breath of fresh air. It addresses real issues with humour – and has a stellar cast. Grace and Frankie are both in their 70s facing an uncertain future as they reinvent their lives, not by disappearing into the background and taking up knitting, but by picking themselves up, and showing that women over 70 are vibrant, resourceful and are still want love and romance in their lives – despite the daunting prospect of returning to dating after 40 years. The half hour episodes see the very stylish and dynamic Grace (played by Jane Fonda) develop a true friendship with the far more relaxed ‘nu-age’ Frankie (Lily Tomlin)as together they move forward from shock to acceptance and happiness. A must view series for anyone facing a divorce midlife and beyond. We might not all have the shock of discovering that our husbands are gay , but the issues surrounding rebuilding your life and understanding who you are as a newly single person are just the same. We see the characters look back to see how they could have missed the ‘signs’, look to see if they can relaunch careers in order to be ‘relevant’, deal with reactions of family and friends to their new situations, , learn to flirt – and date and redefine their relationships with their former husbands. All this is done with humour with a modern, current take on life beyond a ‘certain age’. I stumbled across Grace and Frankie by accident and am delighted I did. I ended up having a VERY late night as I selected ‘next episode’ at the end of each show. I’m hoping there will be a second series. Great storylines and terrific actors and actresses showing that you can be visible and relevant over 50, 60 and 70. Dresses with Sleeves- Timeless and elegant – just like Grace Kelly’s style !